As I’ve mentioned before, I am an Honorary Member of the Ashland Rotary Club. One of the ways that I serve my club is by providing a cake for the Birthday table on the first Thursday of each month. It’s an honor that I’ve had for at least the last dozen years. 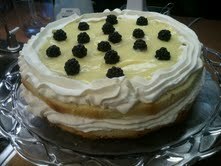 When the first Thursday rolls around, you can be sure that I will be focused on making a cake. 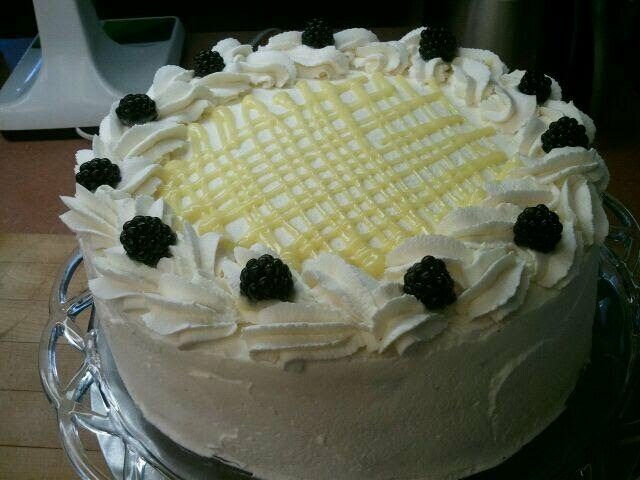 Sometimes members of the club ask for a particular kind of cake – but most of the time, I’m on my own. 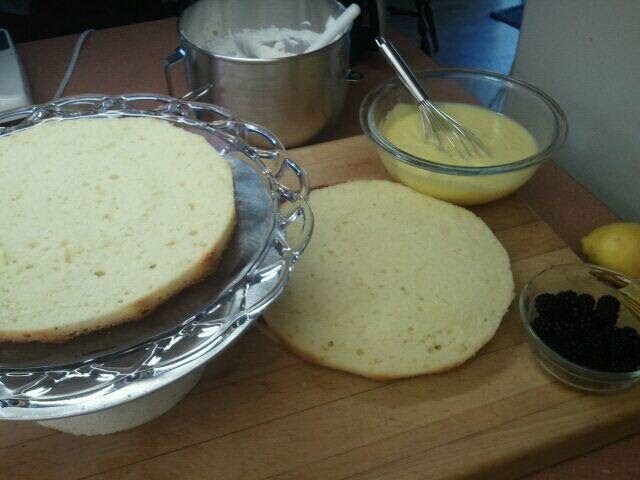 Yesterday, I decided to use the blackberries I picked as an ingredient in the cake – and that seemed to call for a lemon cake, with lemon curd and whipped cream to complete the package. As I was putting the cake together I thought it might be fun to share with you some of the process that I go through to take the cake from beginning to end. My recipe is very similar to this one from Land o Lakes butter and I bake it in a 10 inch round pan that is greased and lined with parchment paper. 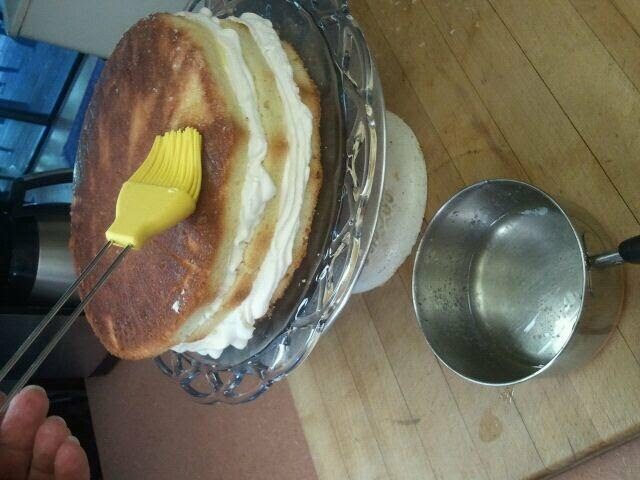 Once the cake is baked, I let it rest until cool. 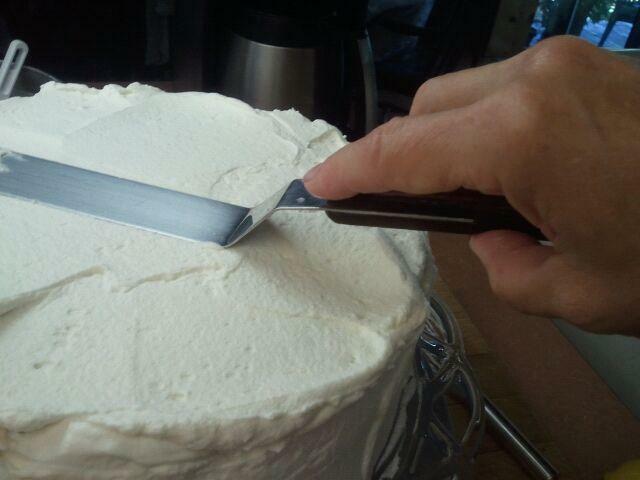 Then I take the cake and slice it horizontally into three layers. You can follow the steps in theses photos. 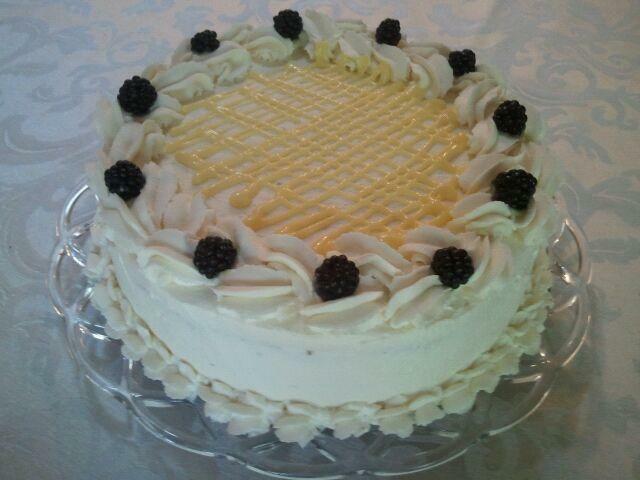 I’ll be making another cake for a fundraising event this Sunday for La Clinica. I’ve participated in this fundraiser for several years now and love to help them in their mission to bring affordable health care to everyone. Liddlekidz will bring a team of therapists (massage, occupational, physical) and various pediatric specialists to teach massage and nurturing touch techniques to caregivers in Vietnam. I met Katie at her yard sale fundraiser. She told me she was accepting donations for the yard sale and the next day I brought her some clothing to sell – and some gluten-free chocolate espresso cookies – since I’d heard Katie mention to someone that she didn’t eat gluten. I’m excited to support Katie in her quest to help children and if you’d like to contribute to her mission, you can do so here. 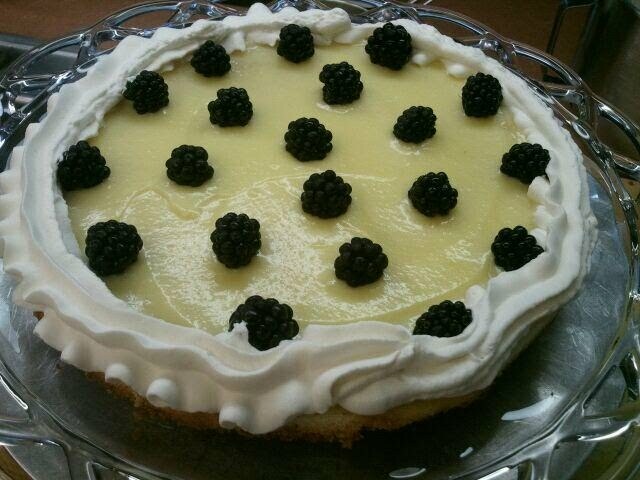 Lastly, (you knew this was coming) I made a pie yesterday for a couple who’ve recently moved into a new living space. I’d been thinking about them all week and finally had a chance to put a pie together. I mixed the rest of the blackberries I had picked with a little bit of cornstarch and some sugar, rolled out a crust, filled it with the berries and made some crumb topping to finish it. I love crumb topping… and remember when I was about fourteen years old that I ate all the crumbs off of a crumb cake while I was babysitting for a friend. Kind of gross to admit that now… and I don’t do that any longer. Really. 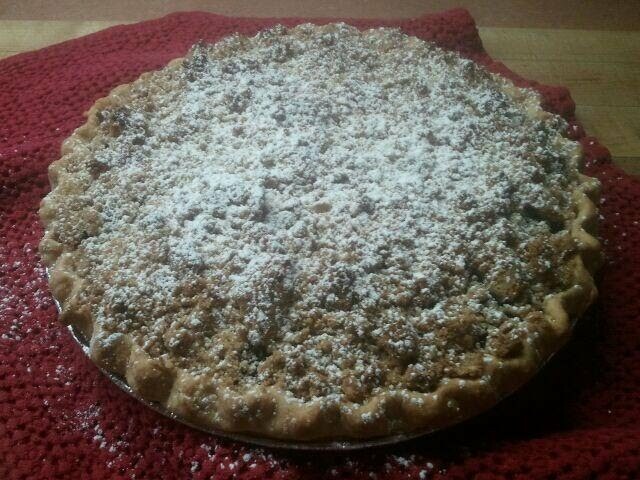 In case you’re interested, below you’ll find my recipe for crumb topping. Enjoy!